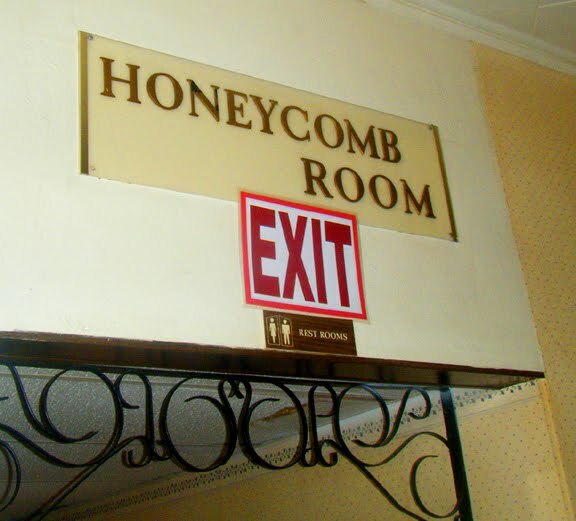 There's nothing really remarkable about the Honeycomb Room other than it's name, which is in keeping with the Bee Hive Restaurant, which surrounds it. 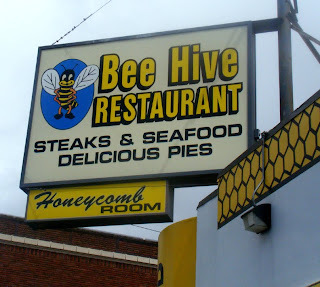 But it is a sort of classic lounge attached to a classic little diner, which stresses its pie and would be at home in Twin Peaks if it didn't press the theme a little too far. The lounge wsa built in 1971, but the building and the "Bee Hive" date back to 1940. 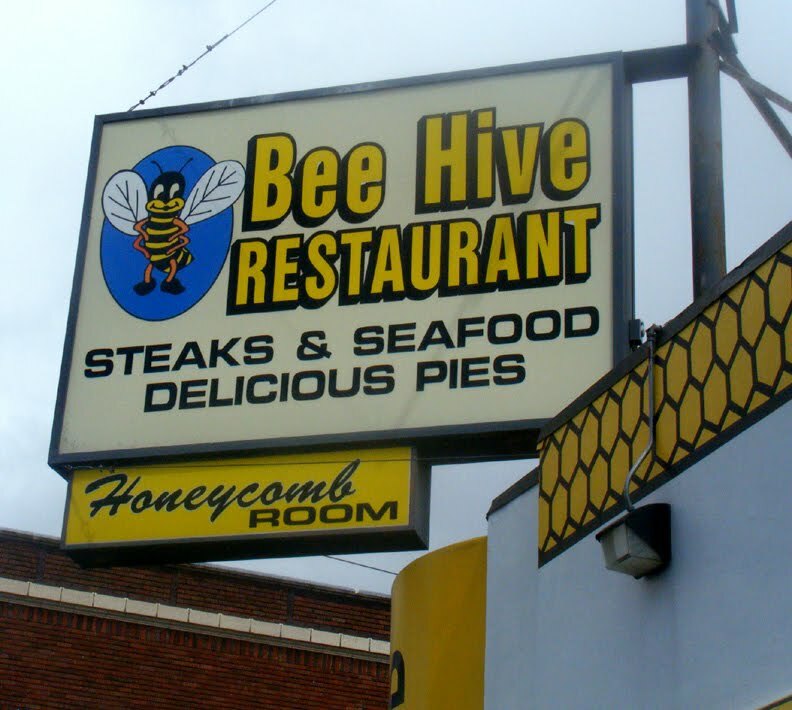 The Bee Hive comes with its own little, laminated newsletter, with ads for local businesses, jokes, and advice. "Peel a banana from the bottom and you won't have to pick the little stringy things out of it," the newsletter explains, then adds "That's how primates do it."